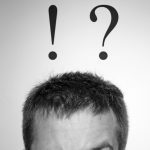 Key Marketing Terms and Phrases – What Do They Mean? Q: The terms and phrases used in branding confuse me. Help – what do they all mean? 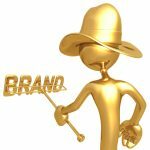 In my 25 years as a brander and a marketer, I have seen a lot of confusion around what the various elements of branding and marketing mean. So, don’t worry – you’re far from alone! As we kick off this new column on branding, it’s my hope to clear up a lot of confusion as we talk about many different aspects of brands. I want to help you unleash the power of branding and to learn how to use that power to advance both your business and your career. But first, to answer your question, here’s my take on the most common branding terms. 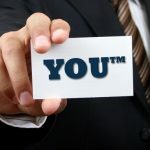 You Already Have a Personal Brand – Is It the One You Want? All you have to do is look around you to know that brands are powerful. In fact, most people are so loyal to certain brands that they stick with them for life. If brand-name products can evoke that kind of loyalty, why can’t people? Well, they can! The truth is that we all have a personal brand whether we like it or not. Simply by being ourselves in the work place, others perceive, think, and feel about us in a certain way. The question is whether we have created the personal brand we want. So much has been said, discussed, and argued about the “economic situation” in the past year. Is it possible that there is a stone unturned on this topic? Well, yes there is … because the way you communicate your personal brand in this economy can have a big impact on how well you weather the challenges that could come your way.